David Miles (Miles Better News Agency) gives his assessment. 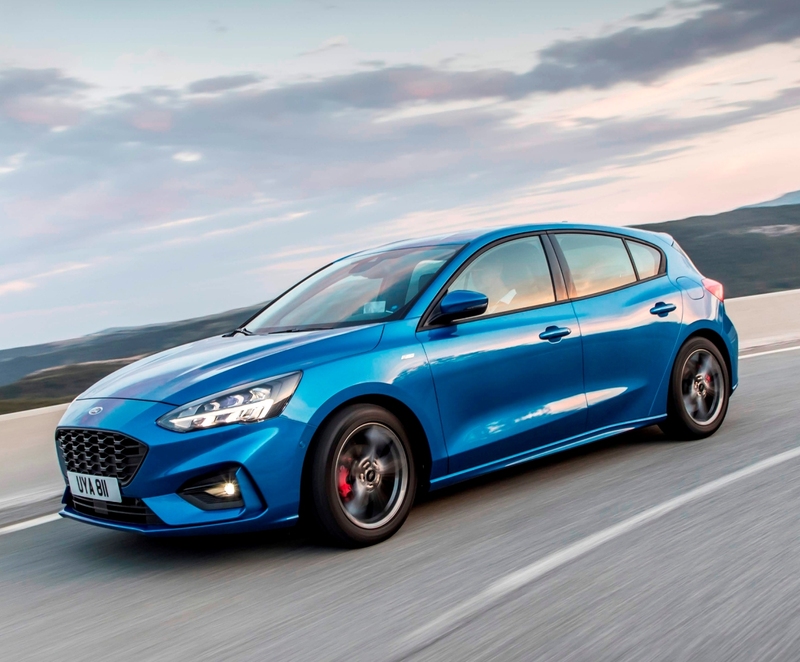 The latest generation Ford Focus was initially revealed to the motoring media in France in June this year, but it wasn’t until September that models arrived in UK showrooms. 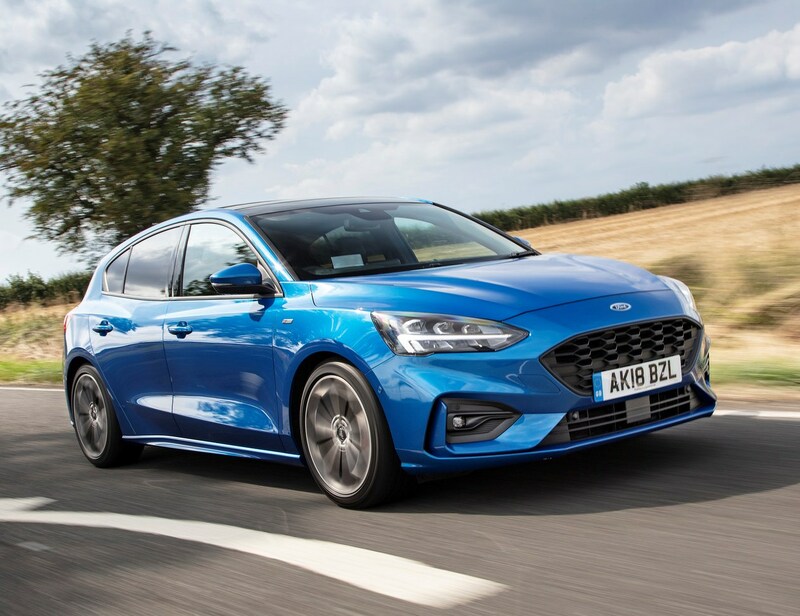 Now full UK sales are underway as the latest generation Focus five door hatchback and estate models aims to maintain their best-selling family car title in the troubled new car market. 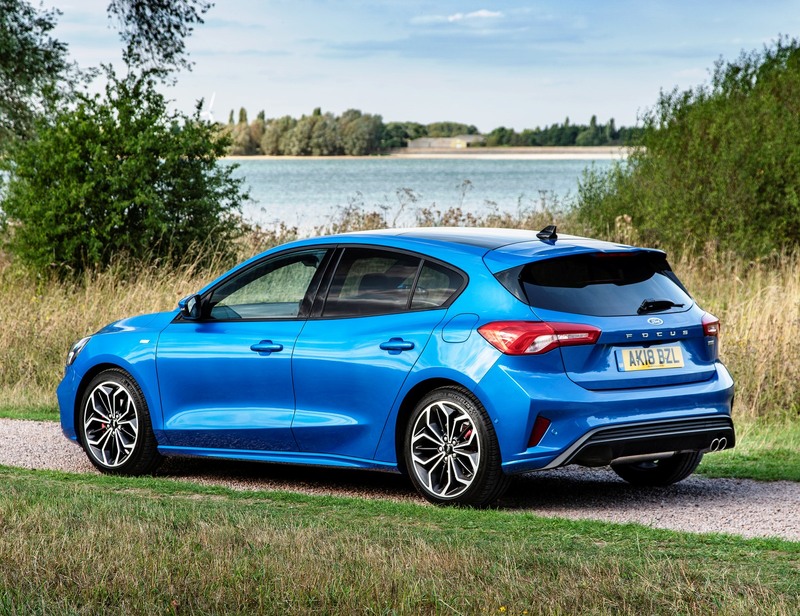 The new Focus should be good news for Ford and its customers, it starts off at a lower price, its roomier, stronger, looks classier, has higher specification and a range of Ford’s latest more fuel and CO2 efficient petrol and diesel engines. And Ford needs some good news as I am writing this review. First the good news is that they have recently announced production of their new 1.5 litre, three-cylinder EcoBoost petrol engines with cylinder deactivation has now started at their Bridgend Engine Plant in South Wales. The bad news is that some production lines in the same Plant producing V6 and V8 engines for Jaguar Land Rover will close for two weeks because of poor global JLR sales. The news gets no better as production at Ford’s Valencia Plant in Spain for Kuga, Mondeo, C-Max and S-Max models is also undertaking a shutdown for a couple of weeks because of the overall decline in European new car sales. But it’s better news at Ford’s Saarlouis assembly plant in Germany where a €600 million investment with new laser welding and hot metal forming produces a 20% stronger body for improved refinement and safety for the new generation Focus models, which utilise the company’s new C2 platform. The newcomer has a maximum Euro NCAP five-star safety rating. With seven trim levels, prices start at £17,930 for the Focus Style – £2,300 below the model it replaces. Focus Zetec and ST-Line – together representing 55 per cent of sales – are now £850 and £250 less respectively. Zetec versions are from £19,300, ST-Line £21,570 and ST-Line X £24,050, Titanium £21,550, Titanium X £22,820 and topping the new range is the Vignale from £25,450. Active SUV inspired styled crossover Focus models will shortly be added to the line-up, priced from £21,900. 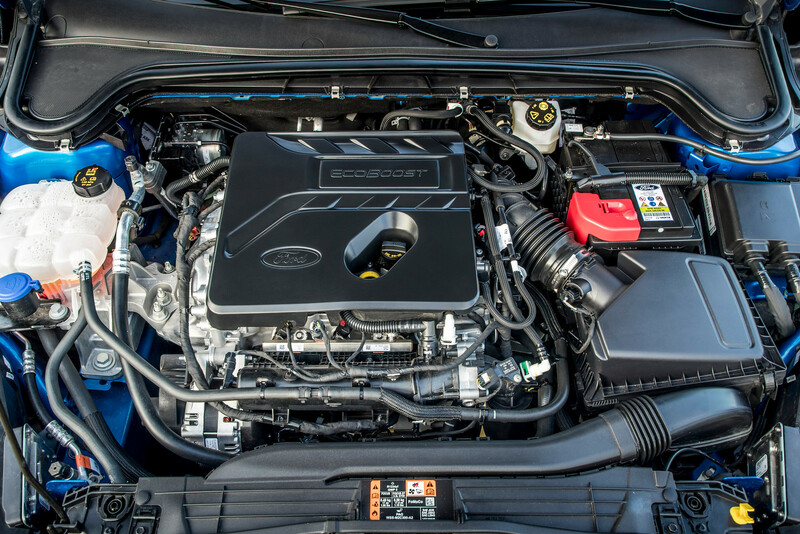 Powertrain choices include a further optimised version of Ford’s multi-award-winning 1.0 litre EcoBoost petrol units in 85, 100 and 125 hp outputs, and the new 1.5 litre EcoBoost petrol engine delivering 150 or 182 hp. Both EcoBoost engines now have Ford’s industry-first cylinder deactivation application for three-cylinder engines. All comply with the new WLTP economy regulations and lowest emissions for the smaller engine are 107 g/km while the larger unit now has a reduction down to 122 g/km. New 95 or 120 hp 1.5 litre EcoBlue diesels emit 91 g/km and the 150 hp 2.0 litre EcoBlue diesel has emissions of 112 g/km. All engines, both petrol and diesel, now have particulate filters and are fitted with an Auto Stop-Start function to reduce fuel consumption. The engines have also been future-proofed and engineered for use in hybrid electric models. Six-speed manual gearboxes are standard but a new intelligent eight-speed automatic transmission adapts shift patterns to match the user’s driving style, and is controlled using an ergonomic Rotary Gear Shift Dial. With two decades of sales history, design evolution and technology progression behind them the new Focus models look thoroughly grown-up. The car looks classier with much improved kerb appeal, which should improve desirability, especially for motorists down-sizing to reduce running and tax costs as well as reacting to our more and more congested roads and parking spaces. The styling is bolder, gone are the slab sides of past versions and in have come more curved and sculptured panels, the bodyshell looks wider both front and rear and the side profile looks longer and more elegant. It just appears a more imposing classy upmarket car in both hatchback and estate forms. Inside it’s much the same improvement story with a more affluent and classy styling approach. Rather than a traditional enhanced spec C-segment family hatch/estate, it now looks like a slightly smaller D-segment car. The layout is more upmarket, the quality looks and feels of a higher standard and it’s roomier than before, especially for rear seat passenger. 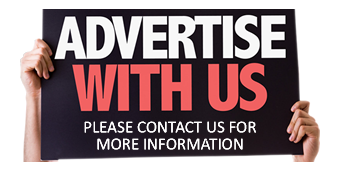 Owners will not to any great extent ‘feel the pinch’ down-sizing. One of the strengths of previous Focus models was its class-leading sharp handling and ride compliancy and although the latest version is larger and the wheelbase longer, it hasn’t lost those characteristics. It uses continuously controlled damping technology for the independent front and rear suspension systems, instantly adjusting for potholes, and in addition there’s an isolated rear subframe for greater refinement, plus Ford’s patented spring technology. Specifications vary throughout the numerous versions available but drivers and passengers can have comfort and convenience features including FordPass Connect embedded modem for connectivity on the move, and a new Wireless charging pad for compatible smartphone devices. Also available is adaptive cruise control, various lighting modes, automatic parking, head-up display and emergency steering assistance. Parents can even control a young person driving the car with a dedicated key to limit speed, music and other features, without affecting their safety at any time. Focus Style comes as standard with 16-inch alloy wheels, air conditioning, DAB digital radio with Bluetooth and Emergency Assist, electronic parking brake, autonomous emergency braking, tyre pressure monitoring, Hill Start Assist and Lane-Keeping Aid. Zetec models add highlights such as Ford’s acclaimed SYNC3 DAB Radio with a 6.5-inch touchscreen and Apple CarPlay/Android Auto functionality, cruise control with speed limiter, front fog lights and QuickClear heated windscreen. The Titanium X boosts the luxury further with partial leather trim, a power-adjustable driver’s seat, privacy glass and 17-inch alloy wheels. For sporty drivers, the ST-Line offers unique body styling tweaks including a revised upper and lower grille, rear spoiler and polished twin tailpipes. Inside are a flat-bottomed steering wheel, black headlining, aluminium gearknob, alloy finish pedals and red stitching. The ST-Line X adds 18-inch alloy wheels, red brake calipers and many of the luxury features found on the Titanium X model. At the top of the all-new Focus range sits the Vignale spec level already available for Mondeo, S-MAX, Kuga, Edge and Fiesta Vignale models. This high level features a unique front grille and body styling with 18-inch wheels, full LED lighting front and rear. Inside it has leather upholstery, head-up display, rear view camera, heated steering wheel and the 675-watt 10-speaker B&O Play Premium Audio System. The Focus Vignale will also be available in an exclusive Dark Mulberry body colour. The B&O Play audio system is available as a £350 option on Titanium, Titanium X and ST-Line X models. My test drive version of the new Focus five door hatchback was more modest than Vignale spec – it was the Titanium X level powered by the best selling 1.0 litre, three-cylinder turbocharged EcoBoost 125 hp petrol engine with Stop/Start and a six-speed manual gearbox. This model costs £22,820 and although the Titanium X spec level is high enough for most users, Ford still managed to showcase almost £4,000 worth of extra cost options on my test hatchback. These included the Chrome Blue premium bodywork colour at £525, the head-up display at £400, LED headlights which are exceptional and cost £750, the lovely to touch as the weather tuned wintry £150 heated steering wheel, the £500 Driver Assistance Pack, £400 for Blind Spot Info System, £500 Convenience Pack which includes really useful functions such as a rear view camera, very practical auto retracting door edge protectors, Active Park Assist and the £350 B&O surround sound system. If you so-choose you can add to the already larger car feel of the new Focus with these items of optional equipment normally only found on larger far more expensive cars. So it looks good, feels good, handles well and it’s roomier and comfier – but how does it perform? Generally modern smaller capacity three cylinder engines have earned a reputation for being efficient enough if driven in a reasonable way. Drive them harder and the oomph and strength supplied by more conventional turbocharged four cylinder engines is missing and the three-pot design means real-life driving fuel economy and performance suffers at times. The long-life durability of three-cylinder highly stressed turbo engines has yet to be proved no matter what make they are and there have been issues with coolant loses and overheating due to cylinder head gasket failures due to stressful driving. I have a family member with a three year old Focus with the outgoing 1.5-litre, three cylinder unit which has just had an engine change under Ford’s warranty cover for that very fault and there are other instances listed on the worldwide web of similar faults with 1.0 litre engines as well – not all Ford engines though. But for now with the latest Ford 1.0 litre unit we go with what we know. In addition to its modest 125 hp the impressive maximum torque with its Overboost function is a healthy 200 Nm (148 lb.ft) from only 1,400 rpm so it is remarkably responsive. In its latest form it still retains its signature growling engine tone under acceleration but I look on it as ‘adding character’ rather than being noisy. Matched with a slick and precise six-speed manual gearbox it’s a nice user-friendly drivetrain package. It’s not slow either, with a zero to 62 mph acceleration time of 10 seconds with a top speed of 124 mph, and it cruises effortlessly at 70 mph. This engine is also very flexible for driving at slow speeds in town in high gears, so saving on fuel. Driving on winding country roads more often than not required fourth or fifth gear to keep up momentum. Even allowing for the high torque output at low engine rpm, more spirited driving required the gearchanges to be used until open road and cruising speeds had been reached. There are selectable driving modes to suit the driving needs or driving conditions. As for fuel economy the official WLTP compliant Combined Cycle figure is 57.6 mpg and my week of driving, mostly shorter runs, returned an impressive 49.6 mpg and no one can argue with that figure for a petrol engine. Another bonus is the low 111 g/km CO2 figure so VED road tax is £165 First Year rate and then £140 Standard rate. Company car drivers will appreciate the 23% Benefit-in-Kind tax and insurance is Group 15E. Warranty is Ford’s usual three-years/60,000 mile ungenerous period. Overall the new Ford Focus is a notable step up in class with higher kerb appeal, quality, specification and interior space. 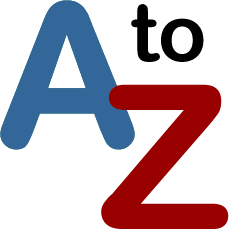 It now has many of the specification items found on larger and more expensive cars, either as standard or as a reasonable extra cost option, so it can be tailored to suite an individual’s budget. It’s the right car at the right time for Ford and many new owners. For: A new classy design inside and out, vastly improved kerb appeal, high specification and a wide range of affordable extra cost options, comfortable and roomy, sharp handling, compliant ride, high safety rating, good real life fuel economy, willing engine. Against: Not very much other than the ungenerous Ford warranty period. Ford Focus Titanium X 1.0 litre EcoBoost petrol 125 hp manual, five door hatchback. Price: £22,820 (£26,495 with options as tested). Engine/transmission: 1.0 litre, three cylinder turbocharged petrol, 125 hp, 200 Nm (148 lb.ft) of torque from 1,400 rpm, six speed manual. Performance: 124 mph, 0–62 mph 10.0 seconds. Fuel consumption: WLTP Combined Cycle 57.6 mpg (49.6 mpg on test). Emissions and taxation: CO2 111 g/km, VED road tax £165 First Year rate then £140 Standard rate, BiK company car tax 23%. Dimensions/capacities: L 4,378 mm (14.36 ft) W 1,825 mm (5.99 ft), H 1,454 mm (4.77 ft), wheelbase 2,700 mm (8.86 ft), boot/load space 341 to 1,320 litres (12.04 to 46.62 cu.ft) braked towing weight 1,100 kg (2,425 lb), five doors/five seats.